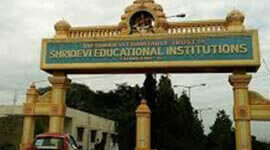 Proudhadeveraya Institute of Technology (PDIT) is established in 1997, located in Hosapete, Karnataka. PDIT is affiliated to Visvesvaraya Technological University (VTU), Belagavi, Karnataka and is recognized by AICTE, New Delhi. 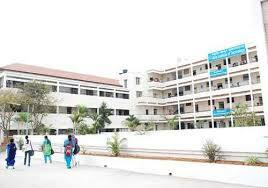 The institute is spread in 20 acres in a very close proximity to Tungabhadra Dam (T.B. Dam) and also Hampi, a historical place. Proudhadeveraya Institute of Technology's campus is beautifully architectured to render a serene environment aiming to facilitate calm premises, suitable to pursuit knowledge. 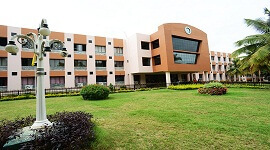 The campus houses well-planned and well-spaced buildings specifically designed for laboratories, lecture halls, workshops, library, and other purposes like administrative blocks. 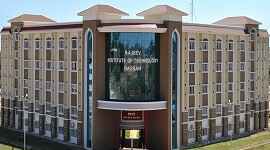 PDIT campus has the state-of-the-art computer lab. To emerge as a world class educational institution, PDIT always strives to provide world-class amenities to our students and our highly experienced and skilled faculty members make PDIT proud. Our students regularly participate in national and international project exhibitions and their achievements are real boost to PDIT. Our students' computer project was awarded as best project in an international exhibition, this proves our quality education. 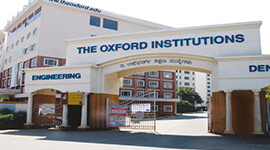 We, at PDIT, currently offer UG courses in engineering streams like Computer Science & Engineering, Mechanical Engineering, Electronics & Communication Engineering, Electrocal & Electronics Engineering, Civil Engineering. 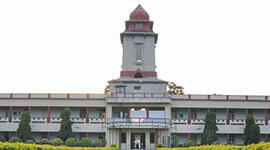 Post-graduate courses like M.Tech and MBA. The lectures at PDIT are well structured in such a way that students easily thrive in this highly-competitive job market after they are graduated with us. PDIT's highly experienced and skilled faculty with their specially-designed, job-oriented lectures make our students to survive in the market to get a job and also after getting into a job. Along with education and knowledge hunt, PDIT students also enthusiastically participate in sports and games. PDIT's volleyball team won the University Zonal volleyball finals, this proves our institutes' perfect blend of planning in education and extracurricular activities. Lush green gardens within the campus provide the best place for the pursuit of knowledge and fresh air to relax. 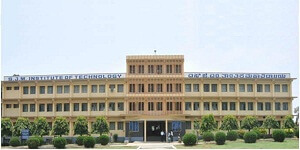 Modern laboratories and equipment to facilitate hands-on experience to the students. Encouragement in curricular and extracurricular activities equally. Great exposure to national and international project exhibitions. Job-oriented training and in-depth practical exposure helping to cope with the competition. Campus recruitments from almost all MNCs in India. 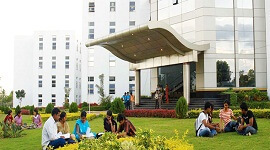 World-class amenities within the campus. Friendly faculty to instill knowledge and special focus on slow learners. PDIT's Depart of Placement and Training has been continuously bridging between our graduates and companies for their hiring process. Well-known corporate companies regularly visit PDIT to conduct campus drives. PDIT's placement officers very enthusiastically involve in inviting the MNCs and providing talented graduates. PDIT's Placement team regularly updates our students about the skills needed by the current job market. Our faculty takes first initiative to give soft skill training and counsel the students to make them succeed in the campus drives. During the final semester, all the students will be given training on effective communication, problem solving, and leadership quality to boost their confidence. 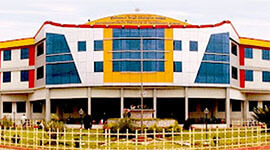 Awarded as "the best college" by Karnataka State Council for Science and Technology for the year 2010-2011. MOU with Mission 10x, Wipro, Bangalore & we are ELITE Partners. Karnataka State Council for Science and Technology awarded our CSE department's project "HAWK-i" as the best project for the year 2013-2014. The Project "Eye Controlled-Computer" (CSE dept.) was awarded as best project in an international project exhibition, VISTA-2011 at Avadi, Chennai. 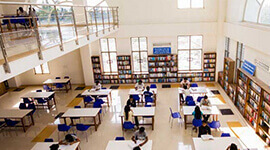 Library with adequate book volumes across all departments and national and international science journals. Uninterrupted power supply to the laboratories with emergency power backup. Earthquake proof buildings and climate-control systems in classrooms. Impressive and eco-friendly gardens within the campus. Class rooms are equipped with LCD projectors. Attractive and comfort classrooms with internet connectivity. Strict anti-ragging, signed declarations from all the students at the time of joining. Protection to woman/girl students against harassments, as per the Supreme Court orders. Dress code to all the students within the campus. Modernized digital library for all. Career oriented counseling to all students, particularly special focus on slow learners.